..the answer to your question might be here! We get a large number of questions submitted to our website,	and we pride ourselves in answering every single one submitted. As well as providing answers directly to the person who submitted the question, Alex. Brogan our Managing Consultant also writes a blog where he posts answers to some common or	interesting questions which have been submitted - all completely anonymised of course. He also writes articles of general interest around small business employment issues. 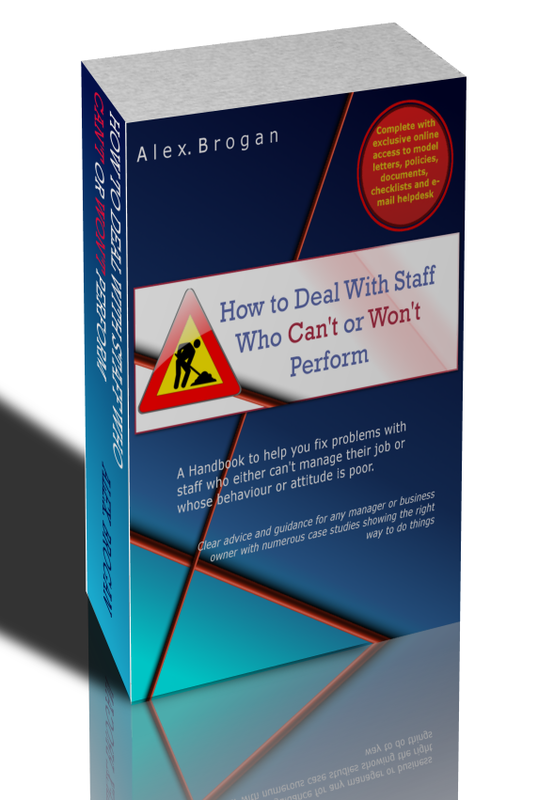 Recruitment Strategies: so how do you recruit the best possible staff? 8 tips to avoid large volumes of unsuitable job applicants in a recession.. Recruitment Selection: How to select the right job applicant..
Employment policies - what are the legal requirements? Bribery Act (2010) don't get caught out! Problems returning from maternity leave.. Holidays unused due to sickness can be carried over for 18 months..
What's all this about Gender Pay Gap Reporting? Our staff abuse our rules - what can we do? ..she gets over friendly with customers - what can we do? Our sales people can't sell! How can we get rid of them..? They are lazy - why can't I just dismiss them?